FERC had been saying no LNG export, yet the pipeline partners said a year ago in their Open Season: “as well as deliveries to Cove Point LNG”. NextEra, co-owner of Sabal Trail Transmission, is one of the Mountain Valley Pipeline partners. Sabal Trail and FERC have told us Sabal Trail is not for LNG export, yet they never told us about an already-approved LNG export license right where the Sabal Trail pipeline chain goes in Florida. A partner in the controversial Mountain Valley Pipeline confirmed this week that natural gas transported by the pipeline could be one supply source for liquefied natural gas bound for India. The news comes after Paul Friedman, a project manager for the Federal Energy Regulatory Commission, repeatedly — and publicly — dismissed concerns last month from pipeline opponents that natural gas transported through the pipeline would be exported. 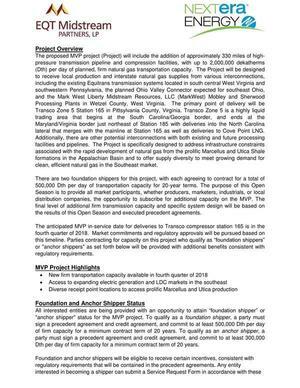 WGL Midstream has a 7 percent ownership interest in the Mountain Valley project, a joint venture that also includes EQT Corp., NextEra Energy and Vega Midstream MVP. In December, WGL announced it has a sales agreement to export natural gas to India via Dominion’s Cove Point Liquefied Natural Gas facility in Maryland. Vega Midstream helped negotiate the deal. In an email Wednesday, Ruben Rodriguez, a spokesman for WGL, reported that most of the natural gas bound for India will be supplied by a company that is a major player in natural gas activities in the Appalachian Basin. But Rodriguez added that natural gas from the Mountain Valley Pipeline could be part of the supply portfolio for exports to India. Pipeline opponents already contend that Mountain Valley Pipeline LLC, a private company, should not have access to eminent domain to condemn private property for pipeline route rights-of-way. That some of the gas might be exported simply adds insult to injury, they say. Tamara Young-Allen, a spokeswoman for FERC, defended Friedman’s remarks. She said his comments were based on filings at that time by Mountain Valley, which is in the pre-filing phase with FERC, a process that initiates the approval process for the $3.2 billion project. 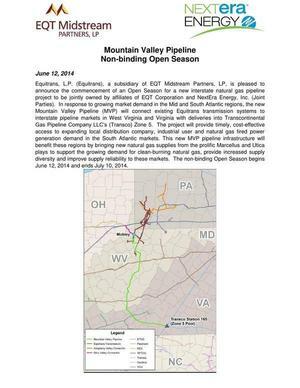 The primary point of delivery will be Transco Zone 5 Station 165 in Pittsylvania County, Virginia. Transco Zone 5 is a highly liquid trading area that begins at the South Carolina/Georgia border, and ends at the Maryland/Virginia border just northeast of Station 185 with deliveries into the North Carolina lateral that merges with the mainline at Station 165 as well as deliveries to Cove Point LNG. “Transco Zone 5 is a highly liquid trading area that begins at the South Carolina-Georgia border and ends at the Maryland-Virginia border just northeast of Station 185, with deliveries into the North Carolina lateral that merges with the mainline at Station 165 as well as deliveries to Cove Point LNG,” the companies said in their open season documents. Should we really believe FERC didn’t know about this? 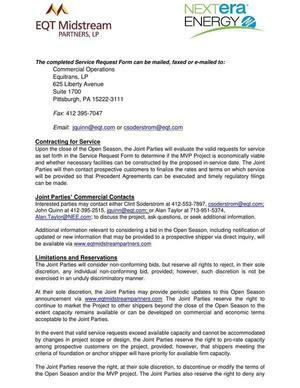 And of course Transco doesn’t stop at Cove Point: it also would connect to Sabal Trail, and Transco’s owner Williams Co. is asking for a FERC permit for its Hillabee Expansion Project to add more capacity to do so. Sabal Trail and FERC have told that it’s not Sabal Trail that would have to apply for LNG export: that would be Sabal Trail’s customers. Nevermind that Crowley Maritime’s Carib Energy was approved 27 July 2011 for LNG export from Martin County, Florida by Order No. 2993 of the Office of Fossil Energy of the U.S. Department of Energy. That’s the same Martin County where the Transco Hillabee, Sabal Trail, and FSC pipeline chain terminates. Plus Floridian LNG 14 November 2013 and Goven 12 December 2013 both also in Martin County. And on 31 March 2015 (intention announced a year before), Kinder Morgan filed with FERC for a pipeline across north Florida to Jacksonville that explicitly could ship Sabal Trail gas. Jacksonville, headquarters of Crowley Maritime, whose LNG export license appears to permit exporting from anywhere in Florida. That’s right: “entitled”. Nevermind the title you thought you had to your property. It’s time to stop this fracking-driven pipeline and LNG export boondoggle. The Joint Parties reserve the right, at their sole discretion, to discontinue or modify the terms of the Open Season and/or the MVP project. That’s “discontinue” as in cancel. Which would be a good idea, for both MVP and Sabal Trail.